MAKE YOUR OWN BOOKAMI ARTWORK! 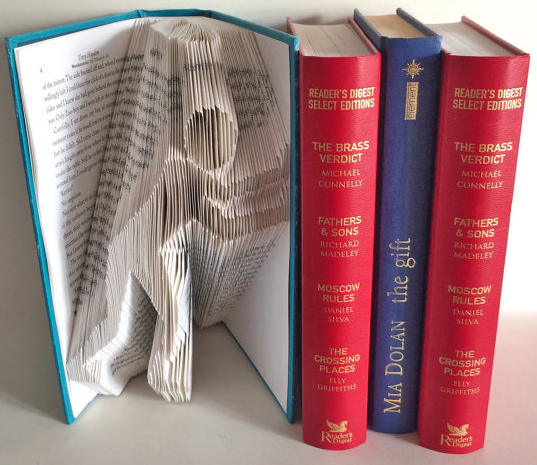 To make this "Push It" figure you just need an old book (see instructions for type/length) and either a ruler or a printer to print out the one provided in one of the links below. Then apply a bit of patience and you can create this piece of art and amaze your mates with your artistic ability!!! (You could try this on a rainy afternoon with some mulled wine!! ).